Zombie games have inspired many publishers to create their own products. 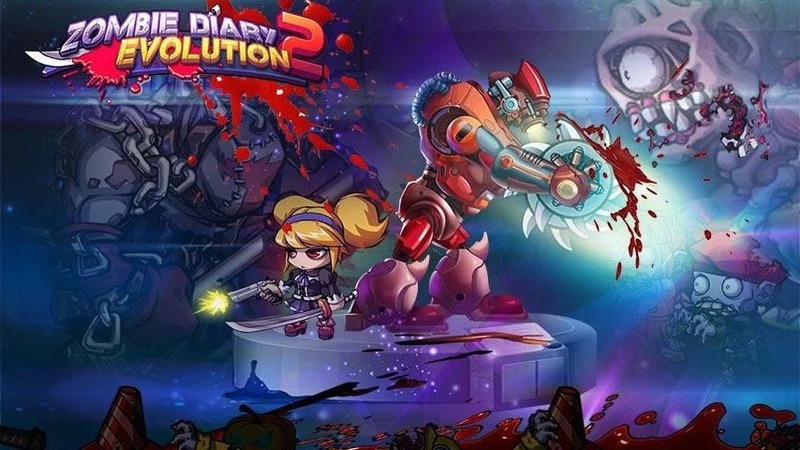 Today I will review the game with the immortal theme of human and zombie battles, Zombie Diary 2: Evolution. At first glance, by the name you may guess that this game is the sequel to Zombie Diary, one of the games loved by many mobile players. The game has a very simple gameplay does not require a lot of skills, very suitable for those who want to find a game to entertain. You just move the character in the direction of the horizontal screen and shoot or use skills to destroy the zombies along the way. The world in Zombie Diary 2: Evolution is a fantasy world in the future, where zombies appear, they appear everywhere, dominate the planet and put people into the last land. A terrible calamity occurs, mankind is on the brink of extinction. 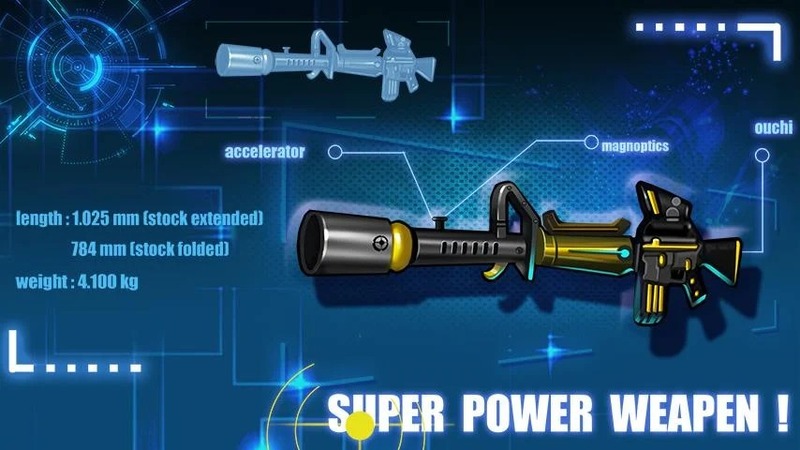 As one of the survivors, you will take the weapon to kill the zombies, protect everyone. The fate of humanity is in your hands. In general, the plot is nothing special compared to other zombie games, with the essential task of getting your weapon to kill zombies. For this game, I think the plot is pretty good and there are many mysteries that need you to answer. As mentioned above, when joining Zombie Diary 2: Evolution, your main task is to kill the zombies, but the zombies here are not only appearing in front but they appear and attack you from two sides. You will have to adjust the character to both sides to destroy them all. Continuous battles are frantic with fast-paced gameplay so you can play all day without feeling bored. Not only kill zombies like the previous version but Zombie Diary 2: Evolution also provides a lot of tasks that make the game not boring. Typically there are hostage rescue missions, defense missions, etc. After each level, you will receive money to upgrade and improve your character. The 11 mysterious maps of the game will bring you many challenges and surprises. 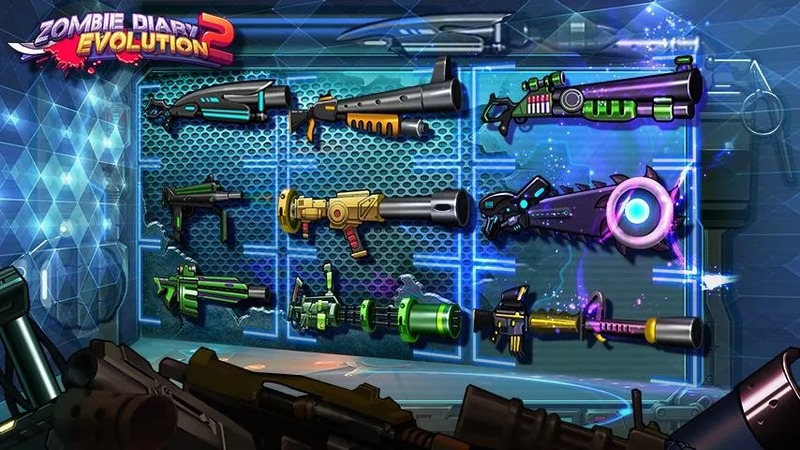 There are more than 30 weapons in the shop such as pistols, rifles, snipers, … even Mecha guns. You can own it by buying from the store before you start or pick up on the battlefield. Each gun has a different amount of ammo and damage. 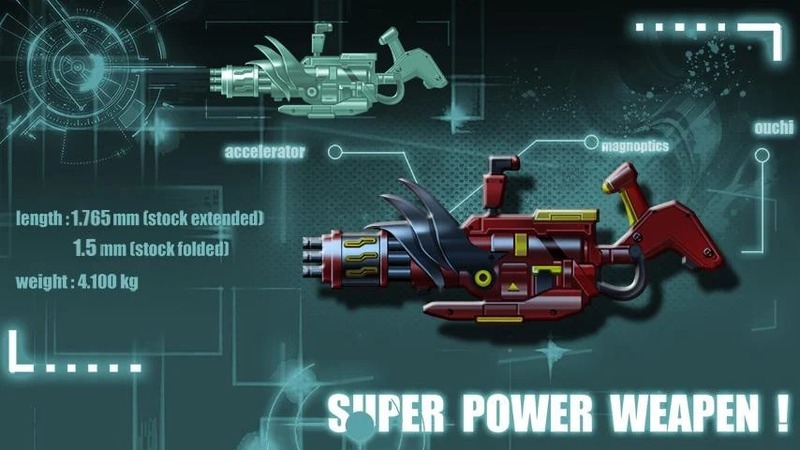 Upgrading weapons is an effective way to improve the strength of the character and the power of the gun. You can also use the money to buy more characters. These characters not only have different shapes and styles, but they also own separate sets of indicators with their own advantages and disadvantages. Similar to weapons, you can increase your character’s stats by using medicine. For example, in the quest to escape, priority is given to characters with faster speed. Characters who have large armor and HP suit in the hostage rescue mission. Zombie Diary 2: Evolution is designed by simple 2D graphics. Characters are designed in a cartoon style, so even if the game has a zombie theme, there are not many horror elements or overly bloody. Colorful game screens and lots of different locations from the street to the lab. The background music in the game is nothing special, all just a repetitive melody. Gunfire and zombies are quite noisy, sometimes I was startled when a zombie suddenly rushed out from the dark. If you like zombie games, Zombie Diary 2: Evolution may be the choice you are looking for. Please select a suitable version and download this game to your phone. Because of the violence, games are limited to ages 17 and up. Zombie Diary 2 MOD APK is ready to download! Depending on your needs, you can download Zombie Diary 2 MOD APK or Zombie Diary 2 Original APK. Or install from Google Play / App Store if you want.